Russian President Putin presents America with a beautiful sculpture to commemorate the fallen towers of New York City, on the 5th anniversary of 9/11. The Tear Drop Memorial, is a 10 story sculpture designed by one of Russia's leading sculptors, Zurab Tsereteli, that was given to the United States as an official gift from the Russian government as a memorial to the victims of 9/11. 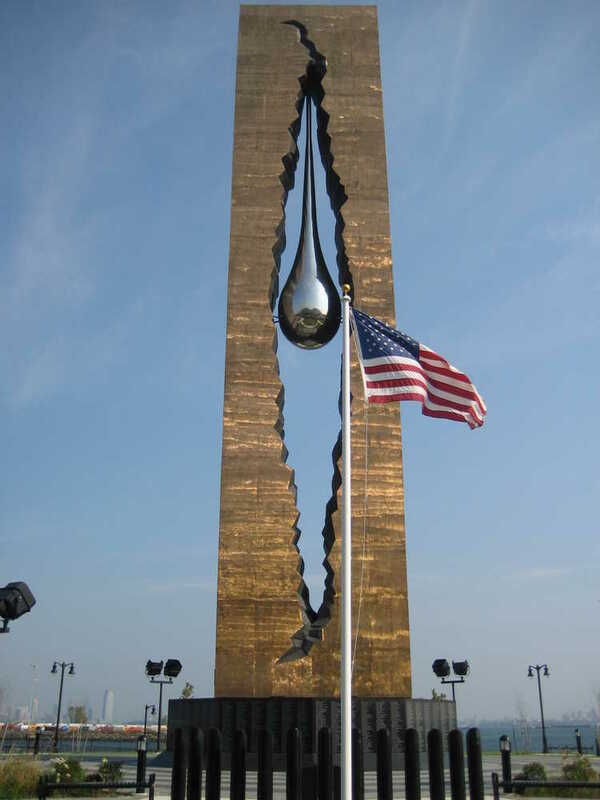 Funded by private donations, the work of art called "The Tear Drop Memorial", consists of a 100 foot tall tower, with a huge open crack running down the center. Hanging from the crack is a massive "teardrop" designed to drip water. The base of the monument is surrounded by a marble wall with the names of the 3000 victims engraved in alphabetical order. President Putin's image on the banner wall has been inconspicuously absent in the controlled media coverage that it has recieved.